By a razor thin margin, voters in Moldova have chosen to give centrist pro-European parties a majority in the country’s parliament, according to results released by the country’s Electoral Commission. 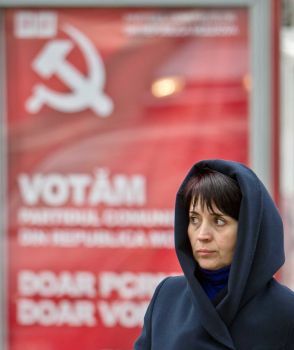 Although the Party of Socialists of the Republic of Moldova (PSRM) came out on top, winning 26 seats in the 101-member legislature, their preferred partner, the Party of Communists of the Republic Moldova (PCRM) slipped to third place, winning only 22 seats. This gives the two pro-Russian parties a combined total of 48 mandates. In contrast, three pro-western liberal, democratic and social democratic parties (PLDM, PDL and PL) together won a combined total of 53 seats. The threshold for parliamentary representation in Moldova’s electoral system is set at 6% and a smaller communist party (who refer to themselves as “reformed communists”) fell slightly short, garnering only 5% of the vote. Had they won, it is likely that the pro-Moscow hard left would have been able to form government. This Moldovan election was of special significance, especially as Russian president Vladimir Putin is looking to create a so-called Eurasian Economic Union, to which Russia, Belarus and Kazakhstan have already joined. This will start off as a customs union, but will then also become a monetary union, with Russian officials suggesting that a new, common currency will be launched within the next five to seven years. Moldova’s Socialists, in particular, have advocated for the country’s membership in this Eurasian Union, as opposed to closer ties with the European Union, which is supported by current Prime Minister Iurie Leancă, affiliated with the Liberal Democratic Party. Under Mr. Leancă’s leadership, Moldova signed an association agreement with the European Union on June 27th, 2014. Both the Socialists and to a somewhat lesser extent the Communists want out of this agreement and would prefer closer ties with Russia and the new Eurasian Economic Union. President Putin has the ability to cause grief for any pro-western government in Chisinau. Russia has already applied economic pressure, by banning the import of Moldovan wines, which is the most lucrative product that this small, impoverished eastern European country has to offer to the world. Russia once purchased 60% of all Moldovan wines available on the market, so the ban was initially a huge blow to the former Soviet state. While Moldova has been able to find new markets for its wines, a second, politically motivated embargo cost the industry over $6.6 million within a few short months. In addition to economic pressure, Russia has another key card in its hands when it comes to Moldova. 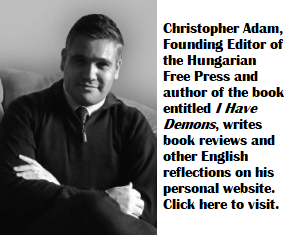 The breakaway republic of Transnistria, a sliver of land dominated by Russian speakers between Moldova proper and Ukraine, is currently an unrecognized state, with its own currency, military and authoritarian government. Russian “peacekeepers” patrol the border between the breakaway region and Moldova proper. Mr. Putin had already hinted that he could end up supporting full recognition of Transnistria, if Moldova tries to move closer to the European Union. The pro-EU coalition in Chisinau has a bumpy road ahead.